You can always set out a few containers here and there, but, with a little planning, a true container garden can rival any garden landscape. 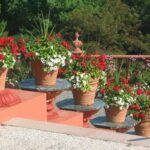 An arrangement of matching pots, with plantings that vary in scale and height, can unify steps, railings, pedestals, and landings. 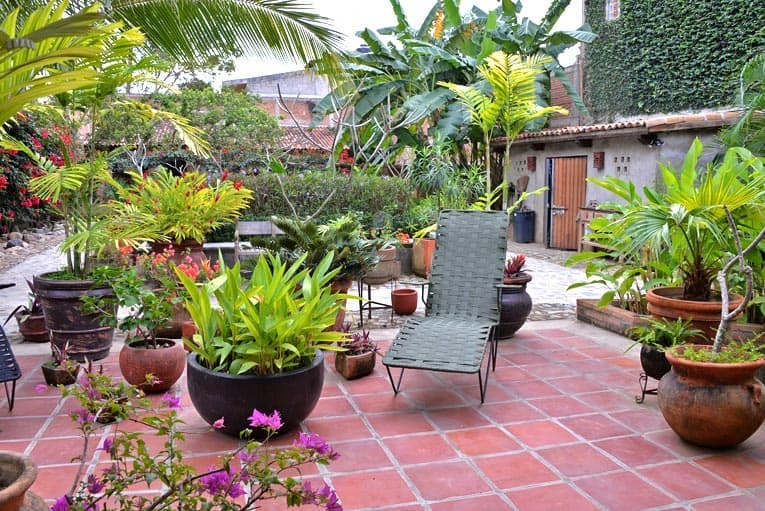 Plants in decorative terracotta pots climb stairs on this outdoor terrace. For a formal look, grow the same plant in a series of matched containers and arrange them symmetrically. For a casual garden, mix shrubs, annuals, and perennials in differing containers. Repeating patterns, whether it’s container style, the plantings themselves, or even leaf color or shape, help create a unifying effect; adding a plant or container that stands out from the others in color, size, or height is a good way to provide a focal point. Also think about when you’ll be enjoying your garden. If you primarily visit your garden in the late afternoon into evening, consider plants that are fragrant at night. Plants with white flowers also shine in a nighttime garden. Containers come in all shapes and sizes. You can stick with round or square containers, or look for tall cylinders, flat planters, or pots adorned with decorative edges or raised designs. You can also find specialized pots, such as strawberry pots, which can accommodate plant collections as well as strawberries. When choosing containers, look for ones that will accommodate the final size of your plantings, or be prepared to transplant as the plants grow. Be sure to have plenty of room for roots, and be mindful if they grow down or out. Of course, container gardens are the only choice for a balcony or rooftop, and are prized because they add color and interest to these spaces. However, when you’re planning a container garden for one of these spaces, there are certain considerations to keep in mind. 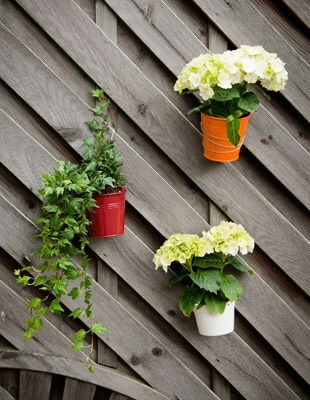 Container plants flourish in a simple and erratic—though stunning—display on this exterior wall. The first is weight and drainage. Pots, especially when filled with potting mix and plants, can be very heavy. If you live in a condo or apartment, you may need to check with your building association or landlord to see if there are any weight restrictions or other regulations. Even if there are no restrictions, you may want to check on the load-bearing capacity of your structure if you want anything other than a couple of small pots. Sun, shade, and wind are also considerations. Take a look at—and feel—your intended garden space over the course of a growing season to determine just how hospitable it is to plants. Sun can be intense on an exposed roof, and balconies may have increased light and heat reflection from walls. You may need to add some partial shade to help prevent sunburn or overexposure. 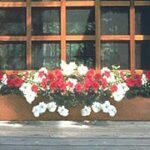 In some cases, overhead structures and site orientation may cause balconies to not get enough sun for any but the most shade-tolerant plants. In this case, choose plants that can take lower light levels. Wind can be a major factor on rooftops and balconies. If strong winds are common, you’ll not only want to protect the plants but also take measures to be sure your containers won’t be blown over—or away. Adding screens or panels and anchoring the containers can help. 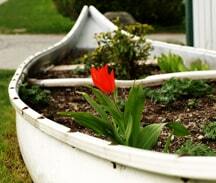 A creative garden container made from an old canoe. The first step in successfully planting a container garden is finding the right container. It needs to be a good match for the plant or plants you’re planning to grow, both in size and style. It should match your overall garden aesthetic, whether you want a casually rustic style for a natural garden, stone urns for a traditional garden, or geometric metal containers to match a contemporary design. It also should blend with your house and hardscaping. A good rule of thumb is to decide on a simple color scheme of one to three colors, and then choose containers within that color range. That way, no matter what plants you purchase over the years, the containers will blend together. Recently there’s been an explosion in container materials. Traditional terra-cotta pots remain a favorite choice, but you can also find containers made from wood, plastic, and metal. Not that you’re limited just to the containers you find at a nursery or garden center. Anything that can hold soil and water and allow for drainage can be made into a container (including an old canoe, like that shown above). Whatever your material choice, be aware that any dark container will retain heat, which may in turn overheat plants. Terra-cotta & stone containers. 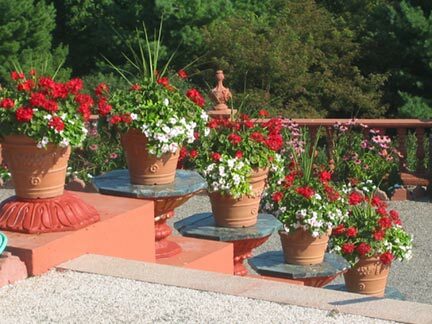 It’s hard to go wrong with terracotta and stone pots. 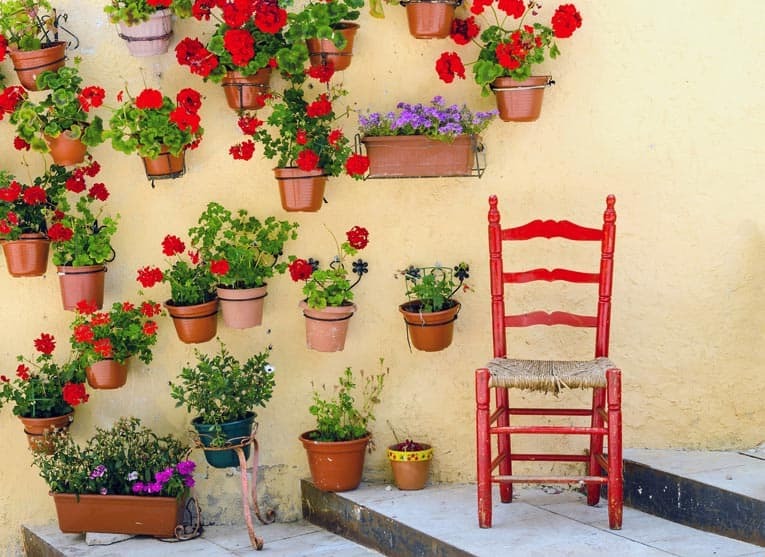 They’ve been mainstays of container gardening for centuries. They blend well with any garden style. In addition, they’re porous enough to keep the soil from getting too soggy and drowning the roots of plants. Excess salts and minerals will naturally wick out of the soil and into the pot itself. They come in a variety of styles, from plain to elaborate, and sizes, from tiny to massive. As a bonus, they tend to develop a patina as they age. Terra-cotta pots do have some drawbacks. They’re heavy, which means that although they will be more likely to stay in place during heavy winds and are stable enough for a large plant or tree, they’re also much more difficult to move once they’ve been planted. Also, because they’re porous, they need more frequent watering. The salts and minerals that leach out of the soil can leave white stains on the pot, though these are easily cleaned. They also can easily chip or break. In cold-weather climates, frost and snow can damage or break them. Wood containers. Wooden containers generally have a square or rectangular shape that works particularly well in contemporary and formal gardens, though they also are a good choice for other garden styles. They blend in well on decks and can be built in long rows or as stair steps. If built with rot-resistant wood, they can last for years and won’t break or chip, even in inclement weather. All wooden containers that have sides at least an inch thick will keep the soil temperature moderate when outdoor temperatures are extreme, a real plus for protecting your plantings. Wooden containers that are left untreated are porous. If sealed, wood will retain water, which means you will need to ensure proper drainage. Even sealed wood will eventually decay. Plastic containers. Plastic pots have come a long way from their early days. Today’s pots come in a variety of shapes and sizes and can be difficult to differentiate from terracotta, stone, and ceramic. Because plastic pots are nonporous, they retain water, which is ideal for dry climates. They’re lightweight, which makes them easy to move even when they’ve been planted. 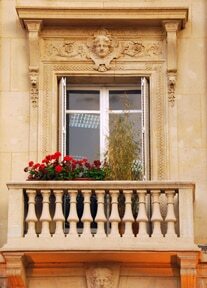 This makes them a better choice for balconies and rooftops. The higher quality plastic containers can stand up to all sorts of weather conditions. And many plastic pots are designed to be self-watering. Drawbacks to plastic include issues with their water retention, insulation, and weight. 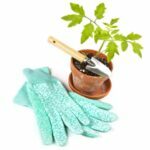 If you live in a wet climate, you’ll need to make sure that plants get adequate drainage. Unlike wood, plastic pots don’t insulate the potting mix against hot and cold temperatures. Their light weight also means they will need to be anchored in windy conditions. And lower quality plastics may crack due to sun exposure after just a few years. Ceramic containers. These are the aristocrats of the container world. Glazed ceramic containers have the same characteristics as glazed terracotta containers. While they are a more expensive choice, they will last for years and add beauty to any garden. Metal & concrete containers. Metal is gaining in popularity as a container choice. You can find anything from galvanized steel and aluminum to copper and brass. These containers tend to hold water, which is good in dry climates but more of a problem in wet climates. They also don’t insulate as well as wood, and they can tarnish. Concrete is rapidly entering the gardening world because concrete is more porous than metal. Concrete containers are very durable, but large concrete containers can be extremely heavy. 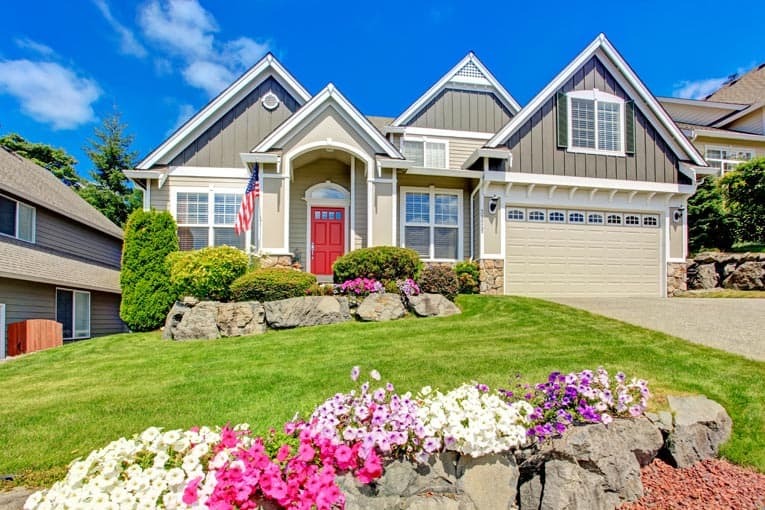 While they can be painted to blend with other features in the garden, they may not be the ideal choice for every garden style. Other types of containers. 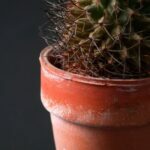 Though terracotta, wood, and plastic are the big three of container choices, anything that can hold potting mix and a plant can be turned into a container. Chimney pots, old wheelbarrows, horse troughs, drainage pipes, wine barrels, baskets, and wagons have all been turned into successful containers. You’re limited only by your imagination.